What is social visibility? How does it affect people and public issues? How are visibility regimes created, organized and contested? 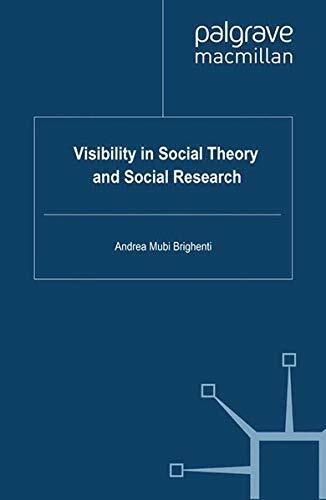 Tackling both social theory and social research, the book is an exploration into how intervisibilities produce crucial sociotechnical and biopolitical effects.